"There's no playbook here…" Warner Bros has unveiled the first trailer for their movie called 12 Strong, formerly known as Horse Soldiers. 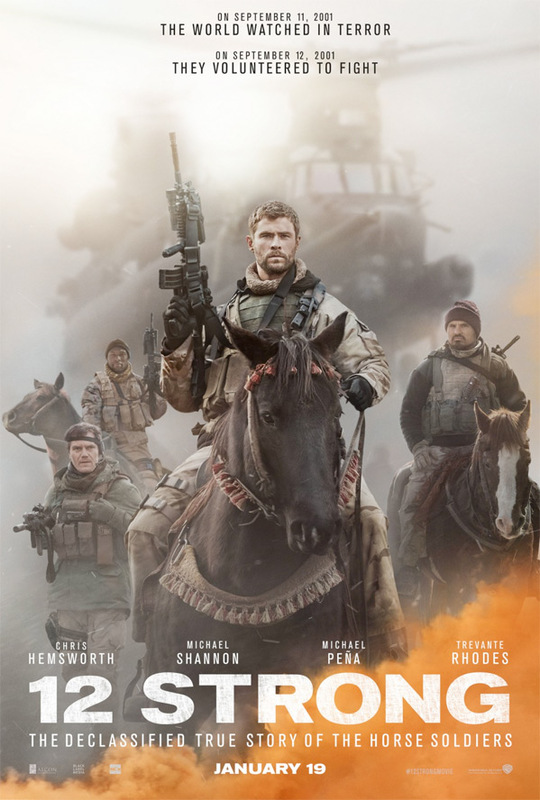 The full title (which explains the plot) is: 12 Strong: The Declassified True Story Of The Horse Soldiers. It's about a team of Special Forces soldiers sent into Afghanistan at the beginning of the war after 9/11. They end up working with a local Afghani warlord in order to take down the Taliban, riding horses into battle (like they used to do hundreds of years ago). Chris Hemsworth stars, along with an ensemble cast including Taylor Sheridan, Michael Shannon, Austin Stowell, Michael Peña, Geoff Stults, and Elsa Pataky. This looks like pretty much every other modern war movie, but with a twist, though it's still about good ole American soldiers risking their lives to keep the country safe & free. 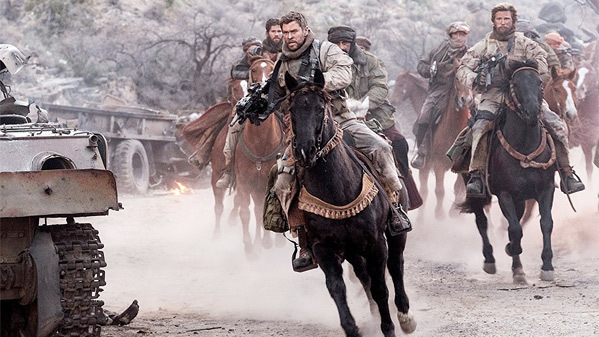 12 Strong tells the story of the first Special Forces team deployed to Afghanistan after 9/11; under the leadership of a new captain, the team must work with an Afghani warlord to take down the Taliban. 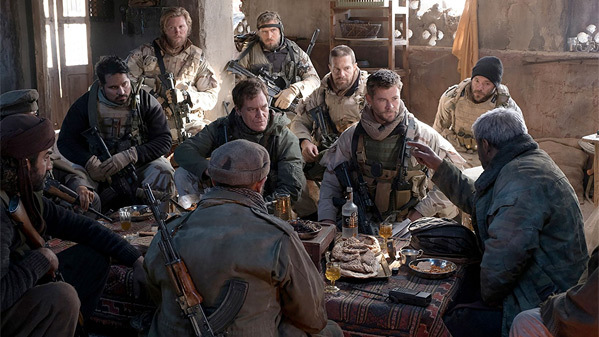 12 Strong, originally titled Horse Soldiers, is directed by Danish filmmaker Nicolai Fuglsig, of only one other film titled Exfil previously; he graduated from the Danish School of Journalism. The screenplay is written by Peter Craig and Ted Tally; adapted from Doug Stanton's book Horse Soldiers: The Extraordinary Story of a Band of US Soldiers Who Rode to Victory in Afghanistan. Warner Bros will release Fuglsig's 12 Strong in theaters everywhere starting January 19th, 2018 early next year. So who's interested in seeing this one?